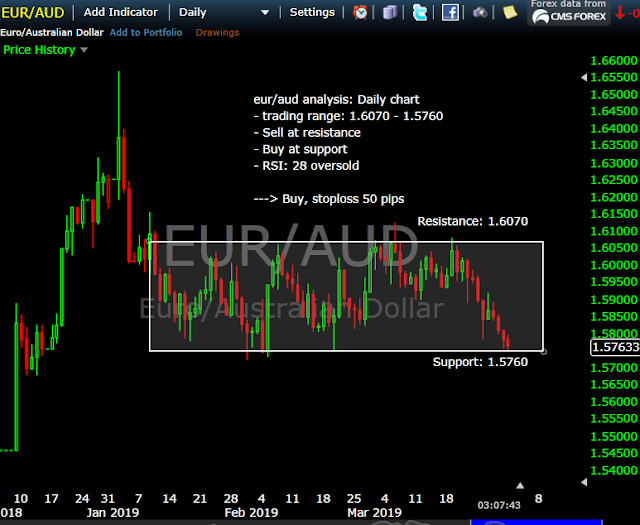 The trading range of euraud is valid since Jannuary. 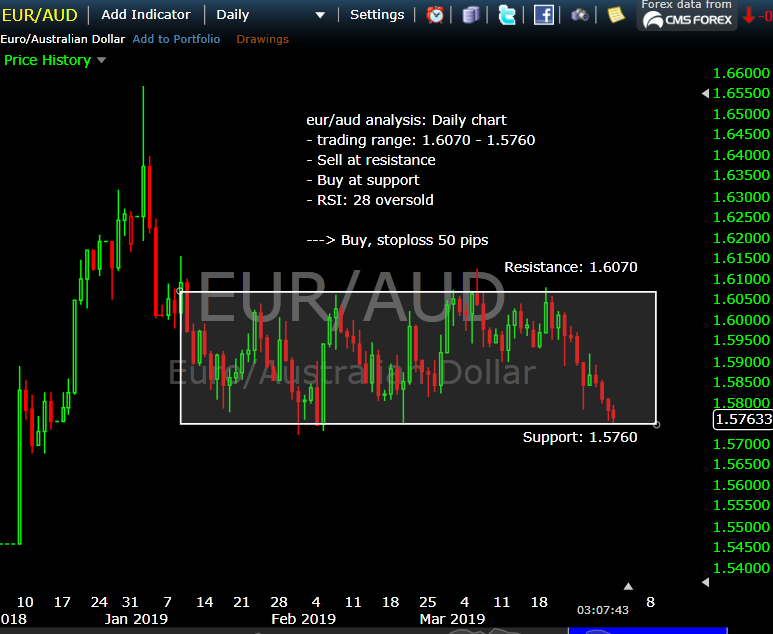 I decide to buy at the support of the range. It can be seen as reverse trend for H4 time frame so be careful. If it breaks down the support, it can be ugly. So a stop loss 50 pips from entry price is good. In case the range is still valid, my target profit is at the resistance. Keep it simple, and accept the risk.